This summer, I met Robin Hobb at Loncon3. We were both on a great food politics panel and she is as lovely and charming in person as you can imagine. When I asked her later if she’d join Cooking the Books for an interview, I knew my chances were slim, given that she’s hard at work on the new book – but she said yes. Everyone wins! 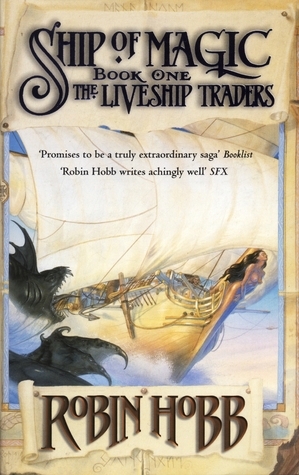 Robin is the bestselling author of short stories, books, and fantasy series including the Farseer trilogy, The Liveship Traders trilogy, and The Fitz and the Fool trilogy. Knowing that Robin has many loyal fans, I offered the lovely folks at reddit/fantasy a chance to join me in interviewing her. What follows are her fantastic answers to the questions we put together — please join me in welcoming Robin Hobb to the November Cooking the Books! CTB: From the start of the Farseer Trilogy, Fitz’s status changes seem marked by where he eats (or is left to await food) – was this something you plotted out or something that happened naturally? Fitz’s observation ‘that food served in the kitchen was warmer than that served in the hall’ is quite wonderful – was that a reflection on the burdens of status? 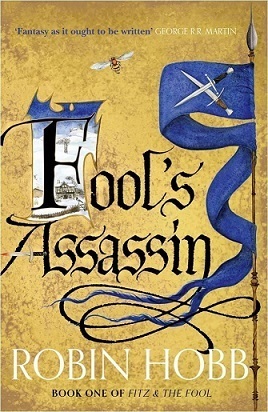 Robin Hobb: I think you are giving me too much credit for thinking ahead. For me, the story just unfolds as I write it. I don’t plan specific things to give clues to changes in Fitz’s status; I tell what happened to him, and leave it to the reader to draw conclusions. It is, of course, inevitable that we judge the status of characters or people by if they are seated below or above the salt, if they eat in a pick up truck at a drive-thru parking lot or in a restaurant with a maître d. But I think that details like that just naturally fall into place in a tale, as do descriptions of dress or the room where one sleeps. Were there special considerations about writing food in the Liveship Traders books? Like scurvy? My goodness. Trying to remember back through the years. I think it was implied rather than mentioned directly. If you think about it, some of the sailors Althea dealt with had very bad teeth, to the point where an impact might break them. So I think I wrote in some of the health and physical considerations that sailors might deal with in the age of sail, but it wasn’t part of the central plot, save that they were always glad of the opportunity to go ashore and have fresh food. And that all along the Cursed Shore, fresh water was a real concern. I mostly thought about food in terms of the Rain Wilds. No arable land, and even the water is problematic. Rich in magical artifacts but most of the food has to be traded for. For me, that really shaped how the people lived there and what constituted wealth and privilege. I think Soldier Son began as my frustration that much of fantasy has this perfect solo hero. Or heroine. No children, no aging parents, no favorite auntie. Good looking. No acne or buck teeth. Just a character, often with fantastic physical health, pleasing appearance and skills with weapons and/or magic. That combined with my annoyance at how permissible it still is to mock, disdain or downright hate people based on their weight. So I wondered if I could create a hero of size and still have people love him/her and care about the fate of the character. And I did my best. I think it’s still worth noting that Nevare never got to be on the cover of any of the books. And that some of the negative reviews of the book cited his being fat as one reason the reader could not enjoy the story. When I wrote the food in that story, I wanted to write it with the overwhelming sensory appeal it had for Nevare, as the magic demanded literally to be fed. While I don’t enjoy cooking, I do enjoy well prepared food. And so I tried to put smell, texture, and taste into every description of the food. And sometimes even the sound of something sizzling or bubbling. Anything to pull the reader deeper into that moment. Well, I suppose the reader could join the characters in the drinks they found affordable at that stage in their lives! So, Steve, for the Farseer trilogy, it would be that cheap blackberry brandy that is probably really only good for dousing a fruitcake. For the Liveships, things diverge depending on who you are reading. A nice tea if you are spending time with Ronica Vestrit. Decent rum if you are hanging out with Brashen Trell. If you are fortunate or unfortunate enough to be spending time with the Satrap, at least the wine would be of a fine quality. When you return to Fitz and the Fool in the Tawny Man, then find the equivalent of fine Sandsedge Brandy. I have twice been gifted with apricot brandy that meets with my imagination of that drink. It has fragrance and flavor and a lovely golden color. A reader in the UK recently gifted me with some, and I’m holding it in reserve to celebrate reaching the end of book two. The Rain Wild Chronicles. Be happy if you have clean, clear drinking water. Boil it up into an herbal tea made from whatever you are fortunate to find growing in your back yard. And for The Fitz and the Fool trilogy? Well, we are not deep enough into that one yet, are we? There are foods in the Six Duchies and Rain Wilds that come from an earlier time in our world, and still exist but are not commonly eaten. The ones that come to mind are venison, wild boar, and rabbit. You are not likely to find these in the average grocery store. Nettle tea. Wintergreen berries. Both Fitz and Nighteyes are extremely fond of ginger, as am I. Most of the benevolent herbs used in those stories actually exist. When I’m speaking of poisonous herbs, I often base it on a real herb but twist the description or give a different name. I don’t want to be responsible for any unfortunate real life experiments with herbs! And dragon parts are notoriously hard to come by, and have strange and often unpredictable effects on the diner. Beware of Elderling blood, also. With some interspecies communication happening in your books, are there delicate issues about what animals are considered food and what not? It’s touched upon in a few places. Witted ones who are bonded to predators are cautioned about becoming romantically involved with ones who are bonded to prey animals. Fitz has more of an affinity for the meat eaters: dogs, cats, wolves, ferrets, weasels and hawks. I think that if you have ever personally killed an animal in order to eat it, you realize that you are taking a life for the sake of feeding yourself and your family. Doesn’t matter if it’s a pig, a chicken or a deer. I’ve killed wild animals and I’ve killed animals I’ve raised for food. At one time, it was a fairly common experience for people, and in many parts of the world, the cook still buys the trussed and squawking chicken or bleating goat. In the US, people get a bit squeamish when you talk about raising a chicken and then one day, taking it to the chopping block to take its head off. I don’t like to think about eating beef that was raised in a feedlot, hock-deep in its own excrement. And I will not eat veal. The cruelty that is required to create commercial veal is horrific. So my chickens live free range and when I take one to eat, I don’t think it’s much more awful than when a hawk hits one. I think if you’ve raised it yourself, you really understand that in some sense, we are all part of the cycle. We are all food for something else. Many fantasy novels include feast scenes and descriptions of the food and drink available. What is your least favorite aspect of this kind of meal to write about? It’s like any other scene. It needs enough detail to place the reader there, but the description should not halt the action. With a feast or meal, I think the description should unfold with the scene rather than be described all in one paragraph. The meal has to be believable in terms of the technology level, the geography and climate, and the transportation available. So it takes a bit of thought and sometimes the pitfalls are not obvious. We take for granted that we can have fresh fruit year round, or a banana when we live in Alaska or a cold beer on a hot day. One has to think about how the meal is served and what eating manners are observed. A writer can say, well, I’m going to go for the 14th century and Europe, or the 12th century in China, and work with that. But for fantasy, I think there should always be an element in every scene that says, ‘This is a completely different world.’ It could be an article of food, or how the meal is served or the cutlery or the order in which the food is presented. If the inn is serving peacock stew, or the customer is presented with a hunk of bread and a spoon and there’s only a common pot for all to eat from, well, that puts the reader in different spaces. You have a small home farm – are there aspects of your writing that growing your own food has helped you develop? I have a ‘pocket’ farm. Less than four acres and only about one acre that is tillable. But the amount of food I can raise here is incredible. The problem is always ‘too much, all at once.’ Right now, it’s apples. I still have one tree to pick and we have boxes of apples and jars of apple sauce and lots of dried apples, and there are still more apples to come. I have a dehydrator and I can do boiling water canning inside the house to preserve all this. I have a clean dry place to put the pumpkins and the butternut squash. I don’t have to think about saving seed for next year. I can buy seed that will grow exactly the vegetable I want, rather than harvesting seed and getting some lettuce that’s bitter because that’s how the genes re-combined. Even with all my modern equipment, there is always more work than I can do every day and more food than we can consume while it’s fresh. Right now, there is one apple tree unpicked and the wind is shaking them down. I’ll gather them up and take them down to the chicken yard if I get a dry moment in the day. I don’t view that as waste. I was recently in a discussion that centered on ‘food waste’ and the people I was talking with seemed centered on the idea that if edible food is not consumed by humans, it has gone to waste. I don’t see it as waste when unconsumed vegetables or fruit go back into the earth they came from, or are eaten by deer or worms or foxes. (All those are just side trips before turning back into dirt anyway.) I’m really tired of the argument that it’s ‘wasteful’ to pasture meat animals on land that could be used to grow grain, as grain would feed more humans. I view the monoculture of huge grain farms and the endless cycles of fertilizing and plowing as a dubious use of land where great herds of grazing animals once moved freely. It’s not all about the humans, people. Wow, that was a side trip. So when I put Fitz in a place where he is basically a small subsistence farmer with a few chickens or pigs and some fish from the stream, I know that he’s still going to have a very limited menu. No flour, no sugar, no milk, cream or butter, unless he trades for those items. And he’s got to use or trade those eggs and meat fairly quickly, or they will go bad. It does make me stop and think about things like tea. Or an orange. To put something like that into a story about someone living in a climate with snowy winters means that there has to be a lot of explaining. Or risk losing the reader. It depends where I am. And it’s always a restaurant. I have some little local restaurants that I really like, and then my guest can choose something that appeals to him rather than whatever I chose to cook. The truth is that I know that I’m not a good cook, and I don’t enjoy cooking. So I don’t subject my friends to a third rate meal that I didn’t enjoy preparing. If I’m alone at home, I don’t cook. I make a sandwich or eat an apple or sometimes just don’t eat. Cooking for family I usually go back to my mom’s idea of a dinner. Meat and two veggies, one of which is a ‘starch’. Dessert is a sometime thing and is pretty simple. Ice cream, pie, a cupcake. Only exception are making cookies. Those I enjoy making, but you can’t really make a meal of those! Most of my meals are cooked in a sense of desperation, when I suddenly look up from whatever project I have and realize the house is full of hungry people. So my recipes feature ‘quick and edible.’ Often there is no real recipe or a minimalist one. When I plan a meal, I plan to make enough that I don’t have to cook for a day or two. So if I make meatloaf, I make enough for dinner, and for cold sandwiches and maybe even another dinner. and spices from the shelf. If I have celery and/or onion and/or carrot, I chop some fine and mix it in. Squish it all together and form it into loaves, either in loaf pans or side by side in a roasting pan. Use fingers to make a herring bone pattern and fill grooves with ketchup or BBQ sauce. Bake in loaf pan in the oven at 350 degrees Fahrenheit or in glass pans in the microwave. It takes about forty minutes in the oven. Overn or microwave, they usually come out okay either way. And there is often some left over for meatloaf sandwiches the next day. Thank you so much to Robin for joining Cooking the Books! Read and listen to more Cooking the Books! 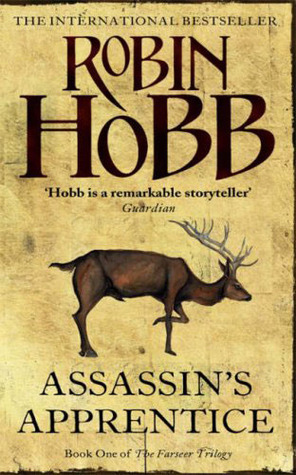 A few years old now, but it’s an interview with one of my favourite authors, Robin Hobb, on the use of food in her fantasy worlds. If you’ve not yet discovered her books, I recommend them highly.